I discovered MONO about a month or two ago, through Last.fm bizarre 'similar artist' system. However I got there, I am glad I did. 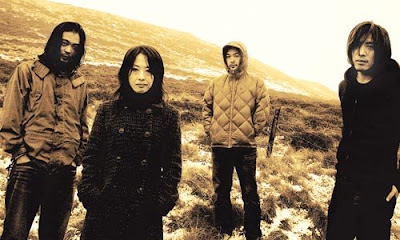 MONO is a post-rock band from Toyko whose multi-layered neo-classical instrumental rock music can blow your mind, not too dissimilar to Sigur Ros or Mogwai (and an Amazon reviewer put it, makes them sound like another pop rock band). Guitars are an intricate part of their music, as are other string instruments and pianos. My personal favourite track is the haunting but beautiful "A Thousand Paper Cranes" from their 2004 album Walking Cloud & Deep Red Sky Flag Fluttered & The Sun. Don't believe me? Fire up Spotify and listen to them and their World's End Girlfriend collaboration. MONO digital tracks are available from both Amazon UK and Amazon.com.